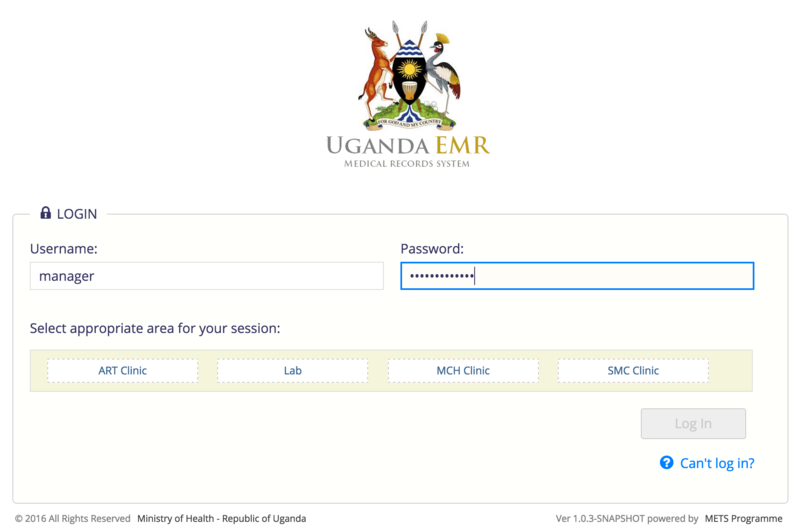 Click on the “UgandaEMR” blue button, above. 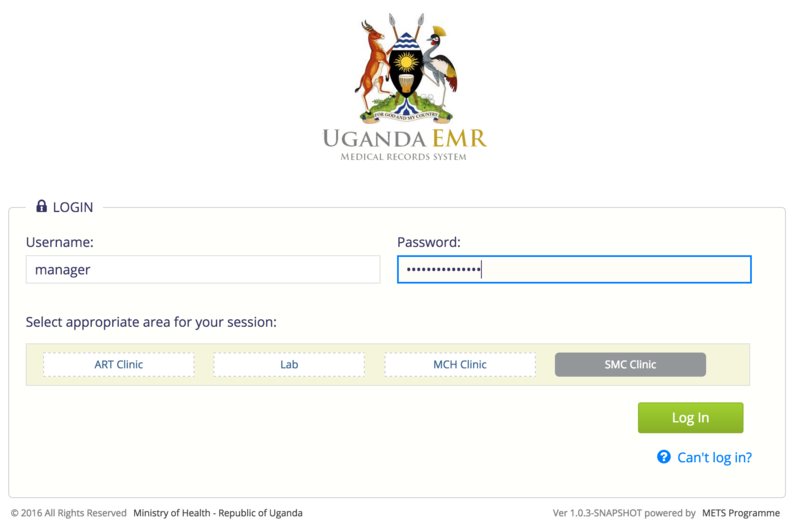 Select “Location for Session” by clicking on one of the options listed. We suggest “ART Clinic” as a starting point. Click “Login”, which will be green at this point, and you are in.